Unlike many would assume, the Green Card Lottery is not completely a matter of luck. This year the application process will run from October 1 through until November 3. Millions of people will apply in hopes of obtaining a lawful permanent residence to the United States, but only 50,000 will win. It is important that you read the instructions carefully, and clearly. 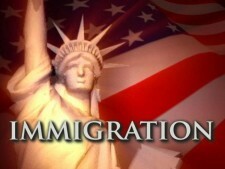 It is unnecessary to hire an immigration attorney unless you win. However, if you win, you will want to hire an immigration attorney that is both highly qualified and has a great deal of experience in order to move your paperwork through the system at a faster pace. If you win eligibility to adjust your status, the State Department Visa Bulletin will provide advance notification of DV Lottery cut-off numbers. This allows lottery winners to apply prior to when their actual lottery numbers become current. We welcome your call today at 952-361-5556 (or fill out the free case evaluation form below) to help you through the legal issues of your Green Lottery case.